No divinity in garbage heaps. Yesterday for Maha Shivaratri , we at Vertiver celebrated by creating this hand-illustrated graphic to celebrate Shivji as the symbol of nature’s purity and divinity. Shivji is often depicted meditating on Mount Kailash with the sacred ganges flowing out of his locks, a serpent encircling his neck and snow enveloping his sublime presence. This version of the peaceful nature-loving Shivji, would be rather displeased to witness the mess that was made in his name outside some places of worship, we ran into on the evening of Mahashivaratri. Late at night as we strolled past an ancient Shiva temple on Panchkuian road in central Delhi, we spotted this pile of garbage RIGHT OUTSIDE the temple. 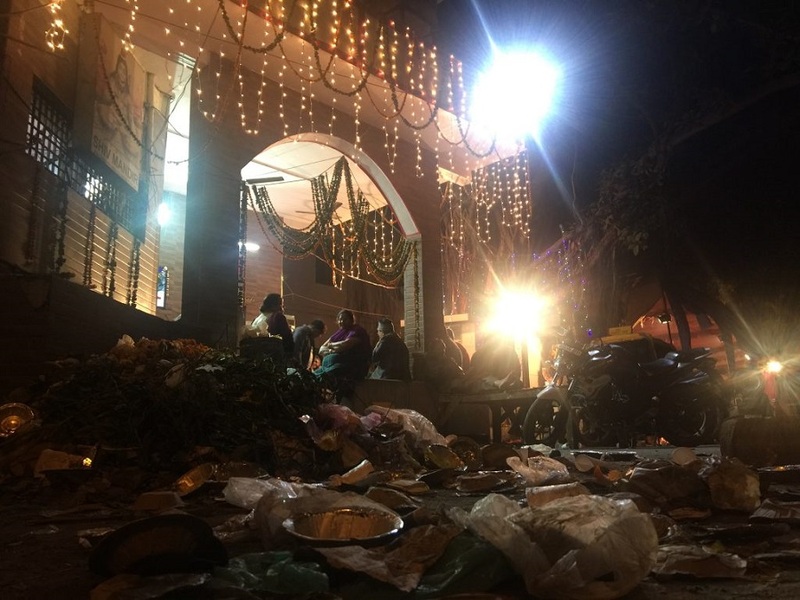 The temple adorned with glittering lights to mark Maha Shivaratri was sadly littered with styrofoam, disposable foil laced utensils, polythene bags, half-eaten ‘prasad’ and other religious paraphernalia as the devotees with the highest reverence celebrated the God who lives among pristine nature. How do these ‘devotees’ not see the irony of piling up rotting garbage right outside a temple that was once created for the sole purpose of making the human consciousness in alignment with nature- shristhi and on a night when one is supposed to meditate on Shiva until the soul is cleansed?. 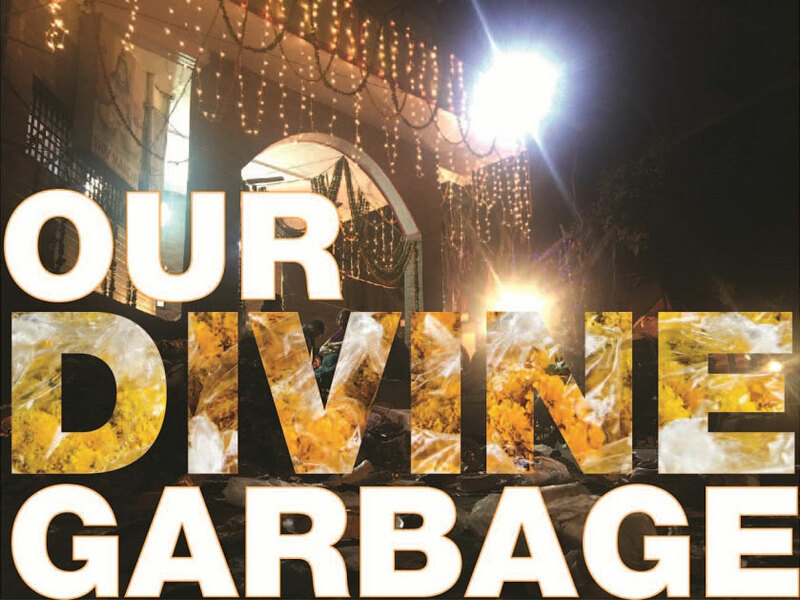 Sadly, heaps of garbage outside places of worship are not an uncommon sight across India. But coming back as we were from the Ramakrishna Ashram, Rabindrasangeet inspired chants filled the air and devotees offered nothing but silent meditation to Shiva in a big hall pristine clean, it was especially unnerving to run into the rotting pile of garbage on this, one of the holiest nights India. No religion can condone such blatant, ugly disregard for a place of worship. How can someone offer beautifully hand-threaded marigold malas in plastic bags at a temple then dump the bags right outside the temple? Or how can someone accept prasad in a foil-laced disposal utensil, eat only a portion of it, then toss the utensil atop the pile of garbage right outside the temple? Why has fervent religiosity disconnected so sadly from responsibility to nature’s ecosystems, which our gods actually represent? And whatever happened to Cleanliness is Godliness? Last time we checked, no god is happy when the offerings brought to them in plastic bags ends up in rotting waste outside the temples then ends up in landfills, creating methane, emissions, and toxic soil systems! It’s time to clean up our divine act India! Let’s design better cities, drive behavior change now! We’re ready to help at Vertiver!